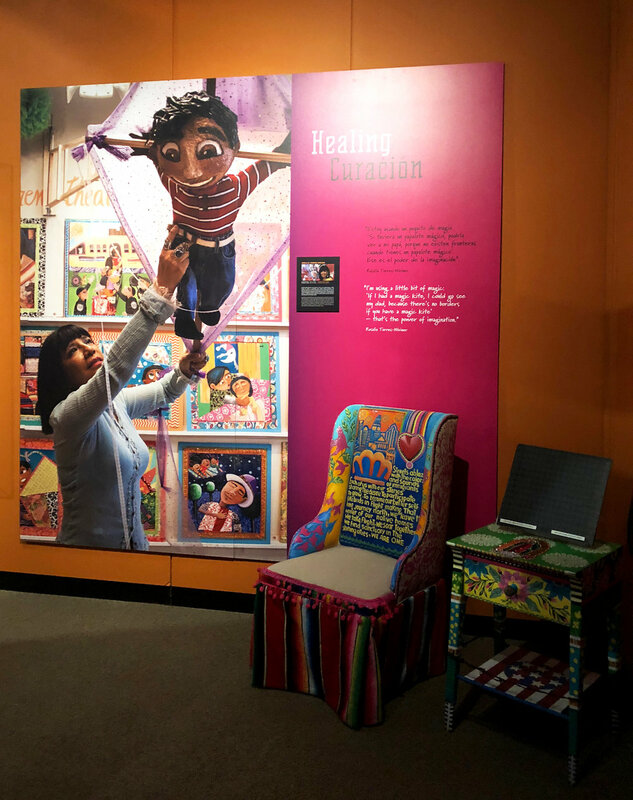 Ever walked into an exhibition you knew very little about, and ended up having a completely transformative experience, which may or may not have culminated with you ugly crying while engaging with the museum's interactive display about tacos? Yeah, ok... so crying at a museum is also not on my top list of things to do while I engage, but it happens, and oh boy did it happen during my last visit to the Atlanta History Center. Full disclosure, I had every feel of the rainbow while learning at ¡NUEVOlution! 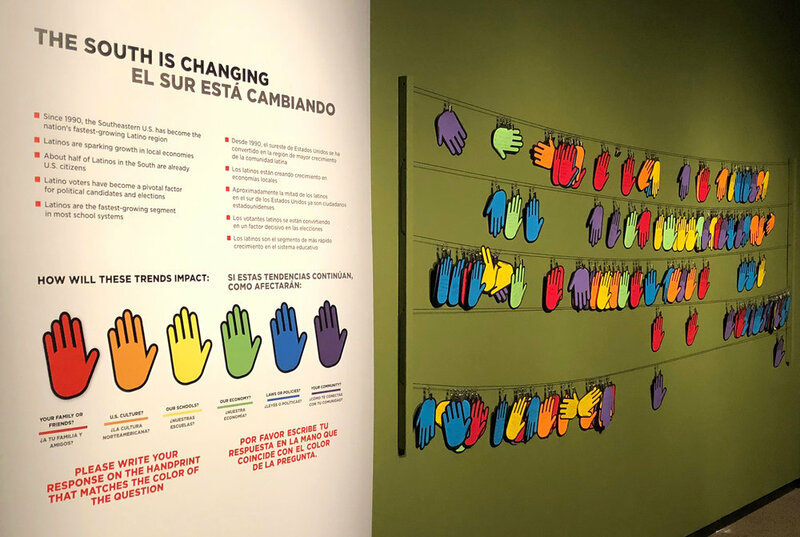 "Developed by Charlotte's Levine Museum of the New South in collaboration with the Atlanta History Center and Birmingham Civil Rights Institute..." ¡NUEVOlution! 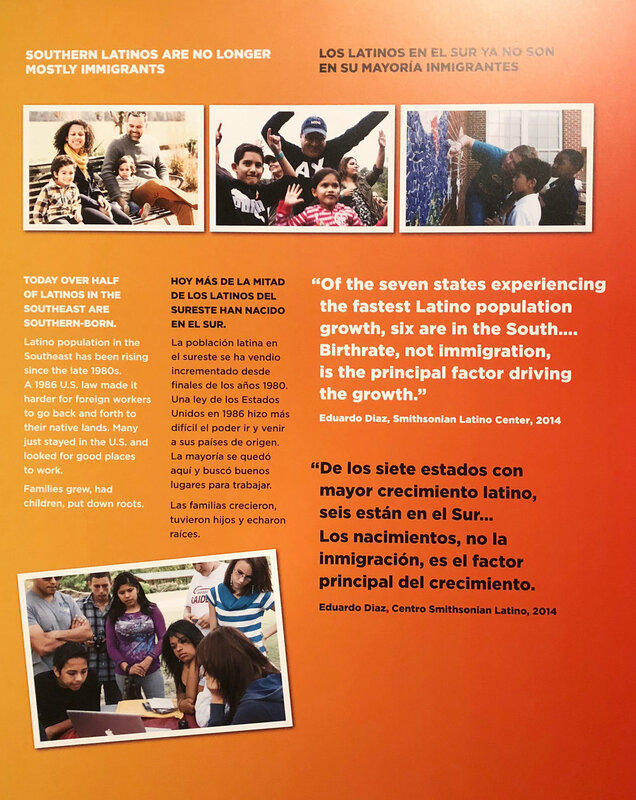 Latinos and the New South examines Latinx' personal stories behind statistical analysis which point to the fact that over the last 25 years, Charlotte, and Atlanta have emerged among the cities with the fastest Latinx population growth nationwide (AHC). Initially, a friend and I walked into a hallway filled with statistical analysis, and I thought to myself "this is gonna be one of those exhibitions" (cue the eye roll... you know the boring kind that is all facts and nothing to dig deep into, I love me some data, but at least try to make sense of it for me, don't just show me analysis). But, far from it, I learned about the Latinx South going back to the 1500s, and most importantly I saw brown in the south for the first time accurately represented in a black and white community. The curator/designer/advisor team of the exhibition also did a stellar job at explaining migration routes, citizenship paths, and even delved into terminology and tackled "Latinx," While also asking very difficult questions along the way, such as; Do you consider yourself American? Southern? Something else?... How do others see you? Is there a difference, and does it matter? I paused where possible and delved into my own intersectionality with this exhibition, now being Jaxican (half Japanese, half Mexican) this is something already complex for me, I do not, in fact, consider myself American, I think of my self as Mexican since I am a first generation immigrant. In the South however people default me to white. But also due to a combination, of my education, my line of business, the light tone of my brown skin, a very discreet accent, and my Japanese last name, most people don't acknowledge me as brown altogether. And it does matter... it matters to me, I would love more people to lump my accomplishments in the brown column sometimes. But also my intersectionality seems to change depending on the group of people I am surrounded by, and this is vastly exterior to me, shouldn't I get a say in determining who I am? 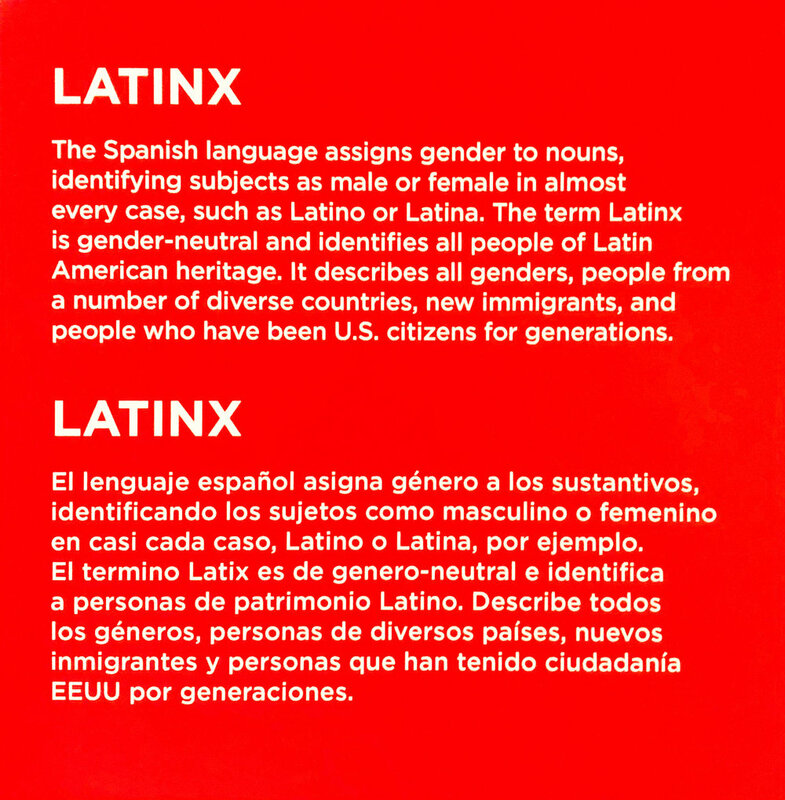 After such critical questions, a line of Latinx misconceptions was placed in front of me, each one harsher than the one before, and then BAMM! How have you stereotyped others? Yeah ok this one hit me like a bucket of cold ice, here I am trying not to cry in front of my friend, as read one after another, a plethora of nonsense that a large population of this country thinks of my people, I'm already all emotional, heck I am a walking wound... and then that? OUCH! was that necessary... I thought? YES! I cannot feel hurt about all the nonsense uttered about my people and not check myself and the nonsense I have thought about others, so then I did it, I bravely took a pen, and wrote down all the nonsensical misconceptions I've ever believed about anyone. Great, so now I'm wounded, and feeling like a hypocrite. Cue the feels, and the ugly tears, thankfully by that time my friend was also feeling emotional, so at least I was not going at this alone... brown solidarity people! As if this wasn't enough a white couple entered the room where I was barely holding my own together and decided that what I had read as misconceptions toward my people, where in fact realities and truths, that the exhibition was thus vocalizing how they felt about Latinx people (they were very loud about it). So then I felt hurt, sad, ashamed, I was ugly crying, and I feel threatened... great! Never has an educational space made me feel all of this at once. But I'm not even halfway done, this is bound to get worse or so I thought. But it didn't, instead, the next space is all about empowerment and brown agency, and highlights the realities of my community. I am allowed to step away from learning about immigration policies, and statistical analysis that tries to lump all Latinx people into a homogeneous group and every shade of brown is thus allowed to shine for the first time. I learn about grassroots projects that allow people to heal through the curatorial process, and about how kites are helping kids deal with the emotional trauma of deportation. I learn about how my people are coming together to help one another, and not just survive but thrive in this country. I learn about agricultural activism that allows farmers to gain agency through their labor, I learn about our political voice and the power of our people in the polls. I learned so much about my own people. I saw the various cultures that make up Latinx people highlighted in a way in which I felt proud about how my people shape this country. Ugly crying left and tears of joy to see my people thrive quickly replaced them. As I learned about dreamers and the youth organizing I couldn't help but turn all those sad sentiments into hope for the future of my community. Heck, I was even allowed to create a plate that represented different types of Latinx food that are a common staple at my own home, I had not realized until then how many different cuisines make up my common menu. The exhibition thus continuously asks how the South is changing and encourages one's opinion in the process. While learning about music, art, heritage, tradition, and the complexities of the many communities that make up Latinx people, one cannot help but realize huge realities of our times, some very often left unsaid. The exhibition culminates with the curator statement surrounded by art by Latinx artists from Atlanta, statement which reiterates that all thought the selection of information present references multiple generations and nationalities, this is by no means comprehensive. So thank you, Susannah Darrow, for highlighting the complexity of Latinx identities, and furthermore, for bringing together such an amazing team of designers, researchers, scholars, advisors, communications specialist, and everyone else who helped in some way to bring this exhibition come alive. The artwork of Mario Petrirena (Cuba), Cynzia Sanchez (Puerto Rico), Alejandro Aguilera (Cuba), Pilar Martinez (Dominican Republic), and Esteban Patiño (Colombia), serve to conclude the beautifully curated exhibition. Petrirena delves into his dual heritage, while Sanchez gender grounds her work to discuss ideas of identity. 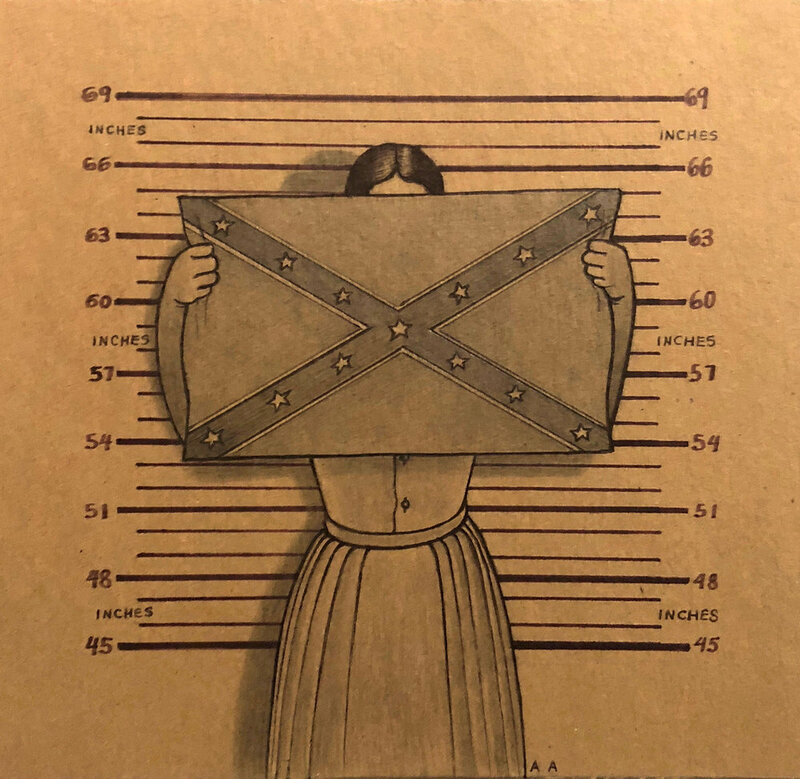 Aguilera uses humor to cope with oppression through his political cartoons, while Martinez repurposes found materials to connect to her past memories. Patiño, however, explores the evolution of language and form through a series of wooden sculptures and interactive language based two-dimensional artworks. Each of the artists thus highlighting their own intersectionality and the complexity of their practices, that are deeply grounded in an American experience that is intimately informed by their Latin American backgrounds. I highly encourage everyone brown, black, white, green, and blue alike to go and learn a bit about the brown experience in the south. Who knows, maybe you will stumble upon a feeling I didn't acknowledge and can tell me all about it. Go, see, feel, learn! The exhibition runs through Dec 31, 2018. You can learn even more about the exhibition here.